IMPROVED: This campaign was improved by the author after 100 downloads. ( v1.5 Update ) Instructions ( Objectives, Hints etc... ) are much more intense and detailed than previous versions. I believe that all players can finish this version by reading instructions. So every people can finish %100 percent of this campaign. CROSSHAIR CARPETS: Players can see where their shots will land by examing visible crosshair carpets in the map. There are some carpets in each battle area. Every carpet represents a different range shot's land. 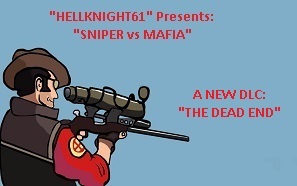 This campaign is sequel to my "Sniper Elite" campaign. This campaign has also its unique sound effects and bitmap images to encourage the atmosphere. SCENARIO 1 ( Practice ): The practice scenario to make players sightly experienced about unique game mechanics before starting to the main scenario... Experienced players can skip this scenario by clicking the visible outpost building in the first 30 game seconds. SCENARIO 2 ( The Dead End ): This is the main scenario. Will our hero Hawkeye survive against his enemies in this dead end? SCENARIO 3 ( Hawkeye's preference ): This is a preference scenario. So this is the shortest scenario. Will you make Hawkeye their new capo? Or will you kill the big boss Uncas? PREJUDICE: I am open to any kind of positive or negative criticism but I have a condition. I suggest players writing criticism after they play and understand this campaign. ( At least %35 percent of whole campaign ) I don't suggest players quitting playing due to only unique game mechanics. I know that my campaign doesn't contain traditional B&D gameplay. I suggest players trying to understand gameplay mechanics by playing "Practice" scenario at first. * If you have The Conquerors v1.0 or v1.0c I suggest you playing this campaign with these versions instead of User Patch or HD versions. IMPORTANT: This campaign's "steam HD version" was released in steam community. I don't suggest "steam HD players" downloading this file. Steam HD players should download this campaign from steam community. "Other players" should download this campaign from aokheavengames. Click HERE to download the "steam HD version".